There's a central Asian dumpling tasting happening Friday at 6 at the U of C's International House, 1414 E. 59th. It's being presented by the Central Asian Cultural Exchange which is working on a "highly illustrated ethnographic cookbook of dumplings from the Silk Road." i.e manty, chuburek, and pelmen. Saturday at 10 AM the Chicago Foodways Roundtable presents Hungrymag's Cynthia Clampitt on "Mongolia: The Farthest Horizon" at Kendall College, 900 N. Branch. It's $2. It's a big weekend for Wiv. 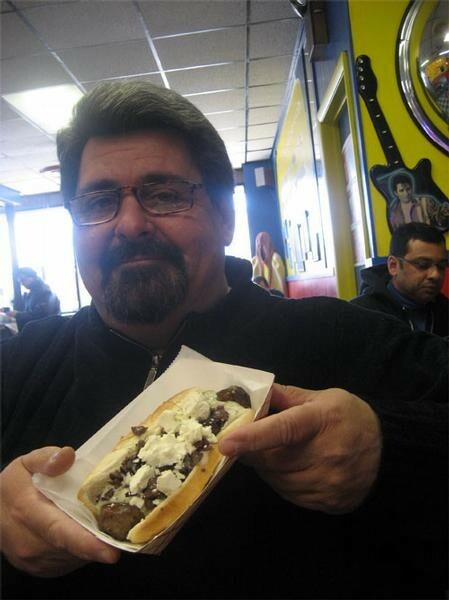 Saturday afternoon at 3 Reader contributor, LTH Forum founder, and friend of the Food Chain Gary Wiviott (pictured) will be talking barbecue and restaurants on the inaugural Steve Dolinsky Show on WCKG Radio, 105.9 FM. Then on Sunday at noon he'll be on the "All About Barbecue Panel" at the Printer's Row Book Fair with Honey 1 Barbecue's Robert Adams Sr., the Trib's Bill Daley and Donna Pierce, and Ray "Dr. BBQ" Lampe. Following the panel he'll demonstrate his Tangy 7 Pepper Barbecue Sauce and marinated pork skewers. In fact there's a quite a few cooking demos this weekend at the book fair. Concurrently, an event purists like Wiviott scoff at--the Northcenter Ribfest runs Saturday and Sunday, noon to 10 PM at Lincoln and Irving Park. Booze, bands, and barbecue for $5. Also on Saturday and Sunday the North Park Village Nature Center, 5801 N. Pulaski, hosts the City Wilds Festival from 10 AM to 3 PM, featuring edible plant tours of the 46 acres and native plant recipes.